Turn your communication into a brand experience. One brand expert handles everything for you. We’ll produce artwork, templates or design everything from your logo. We can rebrand your vehicle fleet and create your branded launch items, too! CBRE, the world's largest commercial real estate services firm which believes that “the experience of the brand is the brand, and the physical workplace can play a key role in shaping those experience.” CBRE “creates moments of impact” in commercial real estate tour floor imagery and messaging, 2D and 3D signs, and banners. CBRE estimates over 1 million viewers annually see their Tysons Corner, VA banner. Inova is leading the way in personalized health with world-class physicians and clinicians. 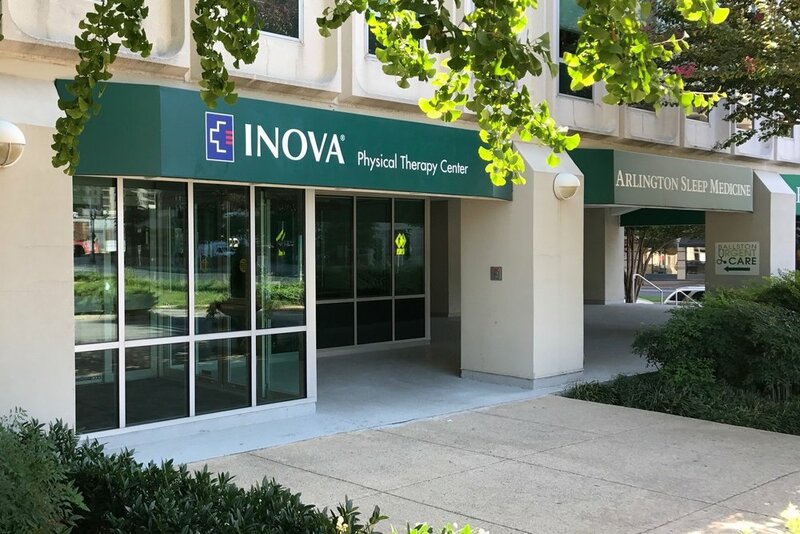 People experience Inova brand values of excellence and use of advanced techniques in branding every facet of their facility: wayfinding, frosted glass, event banners, and signage in and outside of each hospital. Brambleton is Northern Virginia’s top-selling master-planned community which brings its lifestyle brand to life in photographic artwork, events, and displays that showcases their residents. Track the community’s development through aerial timelines, a virtual builders’ model homes tour from oversized canvas prints and visuals throughout the Town Center invite you back to Live Brambleton. Live Connected. Cushman & Wakefield is a global leader in commercial real estate services which helps clients transform the way people work, shop, and live. Brandvizion helped Cassidy & Turley and DTZ, and continue to partner with Cushman & Wakefield’s Marketing and Broker team to build their brand through interior logos, banners, and signs. Also allowed tour floors come to life with elevator, window, sidewalk, and wallscape graphics. Clark Construction Group is one of the most experienced and respected building and civil construction firms in the United States. For over a century, they have been transforming their clients’ ideas and visions into award-winning projects. Whether at a construction site or volunteering, Clark has relied on us to produce its brand-building signs, banners, labels, and branded vehicles for more than 25 years.